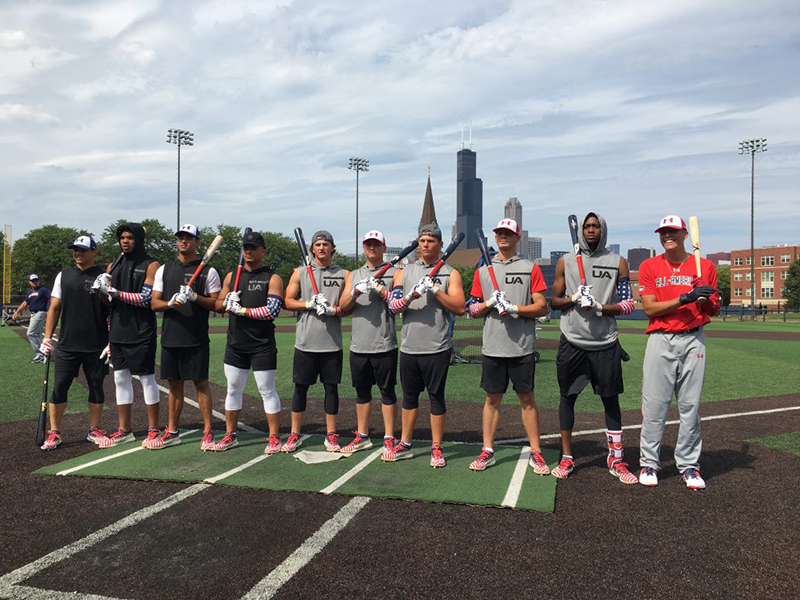 After a preliminary round on Wednesday night at Les Miller Field at Curtis Granderson Stadium on the campus of the University of Illinois-Chicago, ten finalists were chosen to move on to the final round of the 2018 Under Armour All-America Game Home Run Derby, powered by B45. The final round took place on Thursday afternoon. As always, four players were chosen from the National team as well as four players from the American team. The top home run leader from each team moved on to the finals to square off against one another.